The idea for the podcast started from back porch conversations centered around the many unique features and places throughout our beautiful state. 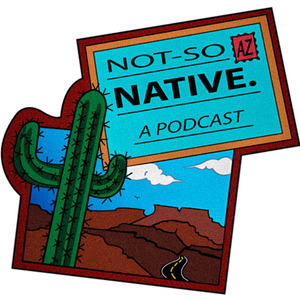 Many of these things Aaron, the proud 3rd generation Arizona native, didn't even know about his own state and Rob, the not so, was eager to learn more about and share with whoever would listen. This led to the idea of starting a podcast that not only would we enjoy making but also one would allow us to share these stories that many may otherwise not have heard.